I'm going to post photos and stories from my back log of memories from my family's trip to France this fall. It was such an adventure for a homebody like me and I was mostly too overwhelmed at the time to blog about my experiences. 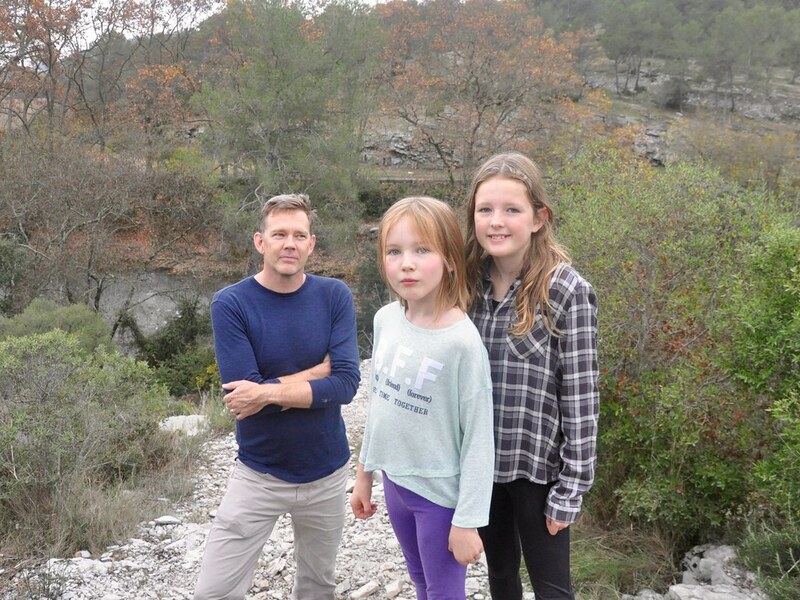 On November 4, my family and I went on a hike at the Domaine de Restinclières. The Domaine de Restinclières is a château and 200 hectares of gardens and forest around the source of the Lez and Lirou rivers north of Montpellier maintained by the Hérault Départment since 1992. It is brambly and leafy and semi-wild and has kilometers of trails to wander around on. Ruth took this photo of our band on a crumbly limestone slope above the Lez.